The second group of replacement parts for the Tensile 60 Freewheel making it probably the most serviceable on the market. Tensile Freewheels are designed as a top quality product which is fully serviceable. To assist this aim we make available a full range of parts to maintain them and keep them running smoothly. 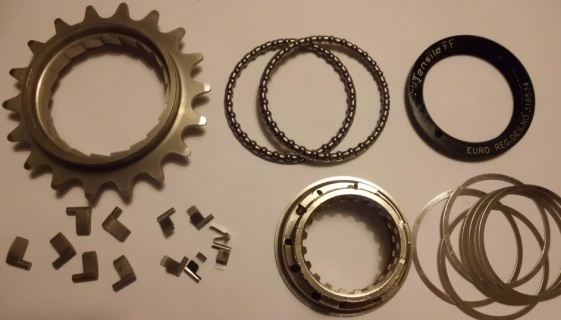 The 3mm shims are in packs of three, and the Freewheel, Body, Lockring and 18 Tooth outer ring are sold and priced individually. The parts are economically priced so that you don't need to write off a skipping freewheel. You can purchase any of these parts below. 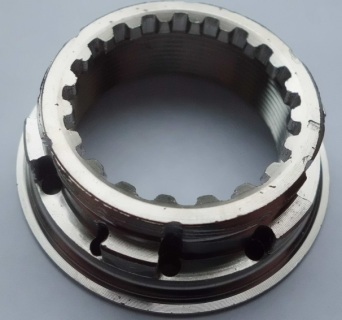 Tensile Freewheels are designed as a top quality product which is fully serviceable. To assist this aim we make available a full range of parts to maintain them and keep them smooth running. The parts are economically priced so that you don't need to write off a skipping freewheel. You can purchase any of these parts below.